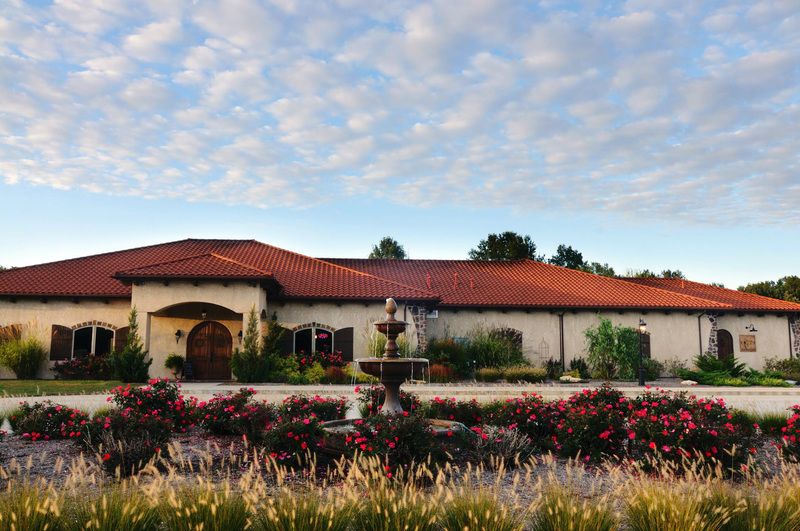 On the outskirts of Effingham, Illinois lies a winery called Tuscan Hills Winery. With their Italian villa-style facilities, this winery provides an old-world Tuscan feel in the heart of a Midwest town. 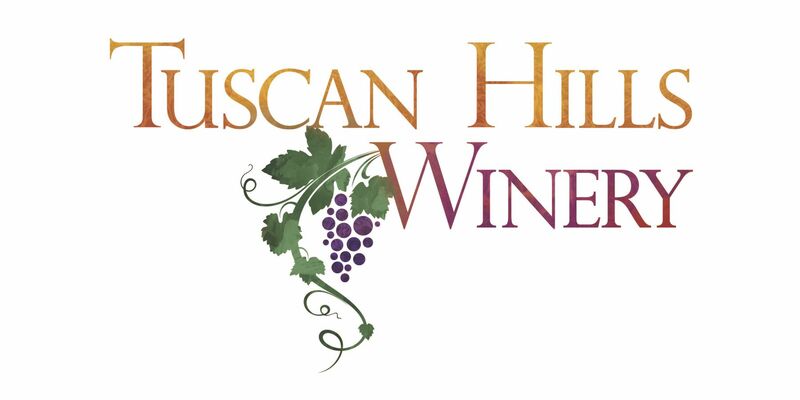 With less than a decade of being in business, Tuscan Hills is already winning awards for their outstanding facilities and wines thanks to hard-working founders Wes and Wanda Pitcher. What makes this winery so special? An off-dry medium-bodied wine made with Seyval Blanc and Cayuga grapes. Features pineapple, tropical fruits, lemon, peach, apple, and pear aromas. Andiamo means “Let’s Go!” in Italian, pointing out the crispness of this wine. A favorite with Pinot Grigio fans. A medium sweet wine displaying a little spiciness and big fresh fruity flavor; pineapple, crisp green apple, grapefruit, and light spices and a hint of vanilla. Immediately popular with Riesling fans. A smooth, medium-sweet Rougheon wine with plum, red berry, and black cherry aromas. Medium-full bodied, with a warm, fruit-dominated, medium-long finish. A sweet Niagara wine with intense peach, apple, pear, and citrus aromas. A favorite with fans of late-harvest wines and lager beer. A very sweet Illinois Concord and Chambourcin wine, extremely smooth and full-bodied, with rich grape aromas plus raspberry and red cherry flavors. Tastes like Grandpa’s blackberry wine. 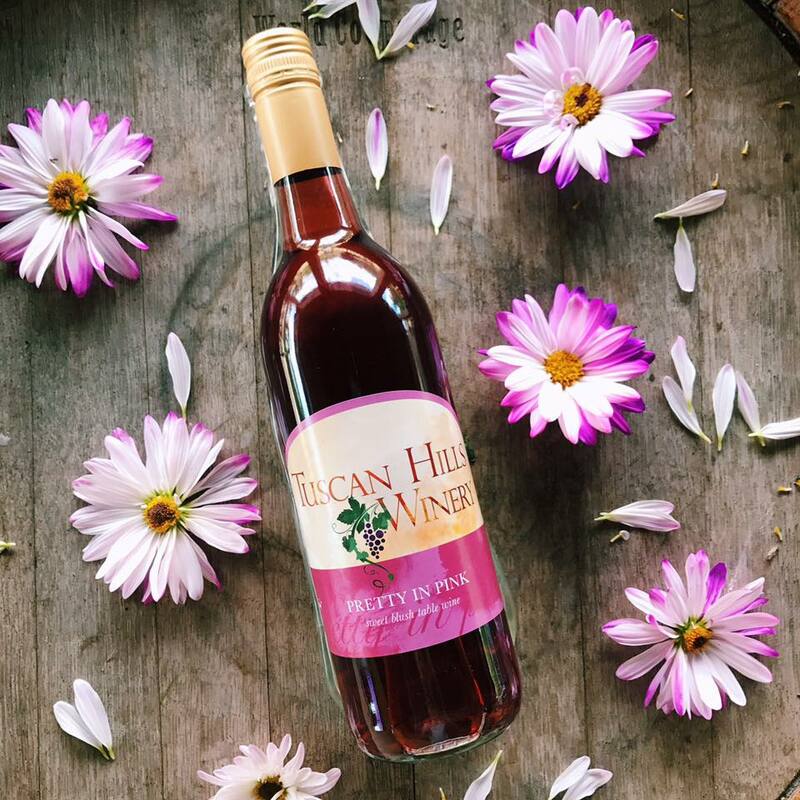 A full-bodied, sweet blush wine with a bold strawberry flavor. A very fruity blush with customary rose floral perfume and grape aromas. Balanced with an underlying crispness. A great dessert or party wine all on its own. 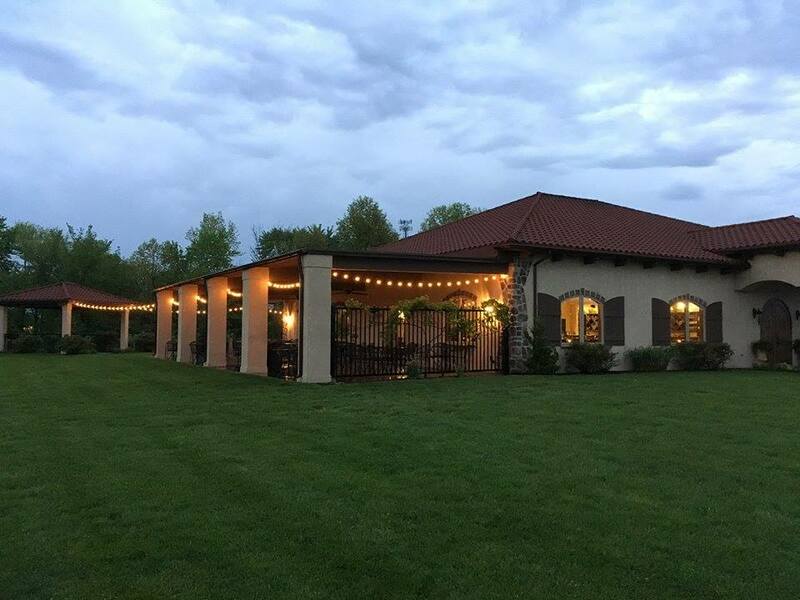 In the recent years, Tuscan Hills has opened their doors to events such as weddings, bridal showers, weekly music performances, and other private gatherings thanks to the addition of their Stellar Cellar and other various event rooms. With such an impressive winery, why wouldn’t you want to try one of their grape-based, fruity-tasting wines, or even give the winery a visit? These wines are currently available at our retailers, so check in at your local store to grab a bottle or two (or six) of the “best effing wine” out there.